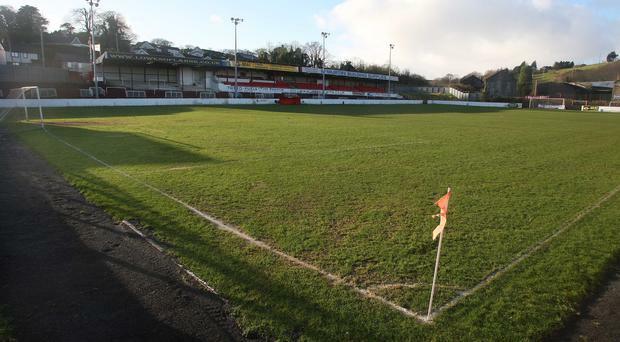 A Co Antrim millionaire estate agent and investor in Larne FC has said he "will be doing all he can" to keep its Inver Park grounds for the team's use after the council put it on the market. Larne-born Kenny Bruce, founder of online estate agents Purplebricks Group plc, has confirmed that he will be bidding on the 4.73 acres of land. Inver Park was listed by O'Connor Kennedy Turtle on behalf of Mid and East Antrim Borough Council. Mr Bruce, who was to invest £500k in the club, told the Belfast Telegraph that "we will do our best" to keep the grounds - but there was no guarantee that Larne FC will be the successful bidder. The property currently has a covenant prohibiting the use of the land and buildings for anything other than sports or recreational purposes. However, Mr Bruce believes that this clause could be challenged by another buyer. He told the Belfast Telegraph: “Inver Park has been placed on the open market to be sold and I of course will be doing all I can to make sure our charity is the successful bidder, but there are no guarantees we will be successful. Mr Bruce made his interest in Larne Football Club known last summer when he took over the club and announced big plans to develop the stadium and invest heavily in the squad. Since then Larne FC has bought players in deals that have seen them outbid Irish League teams. The club also announced that Gareth Clements would take over as chairman, with Archie Smyth becoming secretary of the club after Mr Bruce’s investment. Mr Bruce, an LA-based businessman, is from Larne and founded Purplebricks with his brother Michael. It operates across three continents. Gareth Clements, chairman of Larne Football Club, said: “We view Inver Park going for sale on the open market as a positive step forward in our attempts to acquire the stadium. The council said the legal title was being offered for sale “and the lands will be subject to a future lease being granted to a football club”.